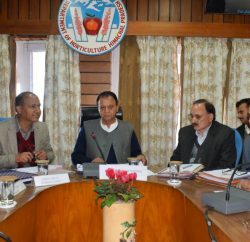 State Government has issued order for implementation of Market Intervention Scheme for Mango fruit in Himachal Pradesh during the year 2012. A spokesman of State Government said that under the scheme 300 MT seedling varieties and 200 MT grafted varieties of mangoes will be procured and procurement price will be Rs. 5.00 per kg for seedling and Rs. 6.00 per kg for grafted mango varieties. Handling charges to the procurement agencies will be Rs. 1.30 per kg. This scheme is being implemented from 2nd July, 2012 to 15th August, 2012. 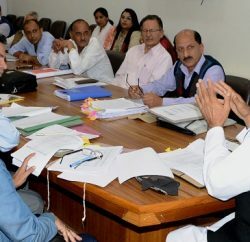 HPMC, HIMFED and HP Agro Industries Corporation had been made procurement agencies and scheme shall be implemented through 34 collection centres. More Centres can be opened keeping in view the demand of the fruit growers. Procurement would be made only from those card-holders farmers/orchardists who have 10 bighas or less land for growing mangoes. No fruit will be procured from the contractors.